If you declare multiple constructors for a class, you can create constructors that support any combination of parameters. But when you do pass in arguments for any optional parameters, you must pass them in the correct order, without skipping any. 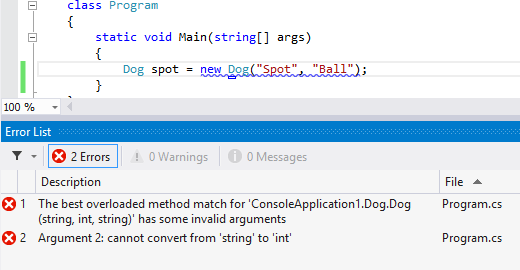 To get around this problem, you can use named arguments when invoking the constructor.